Swinburne University of Technology’s postgraduate online astronomy program has won third prize in the 2014 NOVA awards for online learning excellence for its unit 'Galaxies and their Place in the Universe'. The biennial awards, sponsored by Open Universities Australia (OUA), were announced last week at the OUA conference 2014 Education Frontiers Summit in Melbourne. The winning unit is one of three introductory interactive astronomy units offered by Swinburne Astronomy Online (SAO) that allow students to explore 3D geometries and complex astronomical datasets. From a remote control room in the middle of Swinburne University of Technology’s Hawthorn campus, astronomers have successfully steered the world’s largest optical telescopes more than 9000 kilometres away at the W M Keck Observatory in Hawaii. Evidence that the Universe broke its rising 'fever' about 11 billion years ago. An international team, led by researchers from CAS, has found evidence that the Universe broke its rising 'fever' about 11 billion years ago. They measured the temperature of the Universe when it was 3 to 4 billion years old by studying the gas in between galaxies – the intergalactic medium. During these early years of the Universe's development, many extremely active galaxies were 'switching on' for the first time and heating their surroundings. Huge young star clusters resembling a string of pearls around a black hole in the centre of a galaxy 120 million light-years away have been discovered by researchers at Swinburne University of Technology. The galaxy, called NGC2110, is in the constellation of Orion. Using the giant Keck telescopes in Hawaii, the researchers, Professor Jeremy Mould and PhD student Mark Durré from Swinburne’s Centre for Astrophysics and Supercomputing, found four star clusters, very close (in astronomical terms) to a black hole. Swinburne University of Technology has launched a free online astronomy virtual laboratory that will allow scientists to build complex customised views of the Universe, all from the comfort of their own computer. The Theoretical Astrophysical Observatory (TAO), funded by the Australian Government's $48 million NeCTAR project, draws on the power of Swinburne’s gSTAR GPU supercomputer to allow astronomers to simulate the Universe and see how it would look through a wide range of telescopes. Astronomer Dr Alan Duffy has been appointed Research Fellow and Science Communicator at Swinburne University of Technology. Dr Duffy will be part of Swinburne's Centre for Astrophysics and Supercomputing (CAS) participating in research undertaken at the centre while also generating overall awareness of astrophysics and other science-related topics through community outreach. Newton's gravitational constant, known as G, describes the attractive force between two objects, together with the separation between them and their masses. It has been previously suggested that G could have been slowly changing over the 13.8 billion years since the Big Bang. If G has been decreasing over time, for example, this would mean that the Earth's distance to the Sun was slightly larger in the past, meaning that we would experience longer seasons now compared to much earlier points in the Earth’s history. An international team of astronomers has completed a benchmark study of more than 300 galaxies, producing the largest census of dust in the local Universe, the Herschel Reference Survey. Led by Dr Luca Cortese from CAS, the team used the Herschel Space Observatory to observe galaxies at far-infrared and sub-millimetre wavelength, and captured the light directly emitted by dust grains. 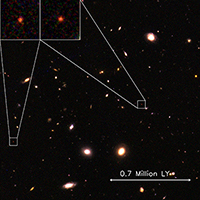 An international team of researchers, including astronomers from Swinburne University of Technology, has discovered the most distant examples of galaxies in the early Universe that were already mature and massive. The mature galaxies were found at a record-breaking distance of 12 billion light years, seen when the Universe was just 1.6 billion years old. Their existence at such an early time raises new questions about what forced them to grow up so quickly. Congratulations to Russell Scott and Sam Moorfield for an outstanding initiative which has brought the farthest reaches of the universe to millions of people around the world and Australia’s first 3D Imax movie. They were award a Vice Chancellor's Engagement Award for their efforts. Prof Duncan Forbes also received a Highly Commended Mention for outstanding contributions to research in the field of astrophysics. Dust may be more rare than expected in galaxies of the early Universe, according to an international research team led by Swinburne astrophysicist Dr Deanne Fisher. By studying the dust content on nearby galaxy IZwicky 18, the team are learning about galaxies in the early universe. IZwicky 18 shares many properties with distant high redshift galaxies, including a very high star formation rate, low metal content and lots of hydrogen gas. It also has the lowest dust mass of any galaxy ever measured, 100 times lower than can be explained by commonly accepted theories. Dr Fisher and her team believe that effects from the extreme star formation rate in IZwicky 18 has an adverse effect on the dust. The ramifications for high redshift galaxies means that they will be much more difficult to detect that previously thought. CAS Staff and their international collaborators have found evidence that galaxies that are located in groups might be running out of gas. Galaxies like our own Milky Way possess large reservoirs of hydrogen gas, which is the fuel out of which new stars are formed. Accurate measurements of the gas content, in addition to the stellar properties, are critical in predicting how a galaxy will evolve. Taking advantage of the sensitivity of the Arecibo telescope, the largest radio telescope in the world, the research team measured the hydrogen content of a large number of galaxies located in different environments, from isolated systems to large groups. These new observations showed that galaxies in groups have, on average, less gas and star formation than similar systems found in isolation. Read more in the Swinburne Press Release. Swinburne University of Technology scientists are part of an international team that has used observations of super-dense stars, known as pulsars, to probe the Universe in a completely new way. Astronomers have known that at the heart of every galaxy, like our own Milky Way, there lurks a supermassive black hole. But until now, the rate at which these black holes grow and collide has been poorly understood. A paper in today's issue of Science pits the front-running ideas about the growth of supermassive black holes against some of the most precise astrophysical measurements ever made. The ultra-compact dwarf galaxy, known as M60-UCD1, may be the densest galaxy close to Earth, packed with an extraordinary number of stars. Using imaging from the Hubble Space Telescope to first identify the object, a spectrum of the galaxy was obtained with the Keck II telescope in Hawaii, using the DEIMOS spectrograph. This spectrum was used to confirm its distance and to measure the internal motions of its stars. Star clusters with properties not seen before have been discovered by an international team of astrophysicists, led by Swinburne University of Technology's Professor Duncan Forbes. Using data from the Hubble Space Telescope and the W M Keck Observatory's 10 metre telescope in Hawaii, the researchers found several star clusters with sizes and masses that were previously not known to exist. Swinburne astrophysicists are part of an international team that has discovered a new class of astronomical phenomena, the origins of which could bring new insights into the mass and evolution of the Universe. These phenomena, known as Fast Radio Bursts (FRBs), are bursts of radio waves that originated billions of light years away, which are likely to have been caused by some catastrophic event in the distant Universe. Swinburne astronomers are part of an international team that has used one of the world's largest telescopes to spot a distant galaxy hungrily snacking on nearby gas. A flow of gas appears to be spiralling into the galaxy, providing the fuel to create new generations of stars and to drive the galaxy's rotation. The research team, led by Dr Nicolas Bouché from the Research Institute in Astrophysics and Planetology in France, includes Associate Professor Michael Murphy and Dr Glenn Kacprzak, from CAS and has been published in Science. Read more about this exciting research in Swinburne Media Centre Release or ESO's Media Release. Pairing high-resolution real footage of the Universe with highly accurate models of deep space, the new IMAX movie Hidden Universe gives moviegoers a deeper view into space than ever before. The film, which premieres on 28 June in the US and Denmark, is a unique partnership between Swinburne University of Technology's Centre for Astrophysics and Supercomputing and December Media. For the full media release, and accompanying video, please follow this link. Awarded to Emily Wisniosky for her thesis "The Kinematic Properties of Clumpy Star-Forming Galaxies", completed at Swinburne University and supervised by Karl Glazebrook. Awarded to Andy Green for his paper "High star formation rates as the origin of turbulence in early and modern disk galaxies". Swinburne University of Technology has been offered a $638,000 grant from the Federal Government to lead the design of astronomical instrumentation for the international Square Kilometre Array (SKA) project. In particular, CAS staff in the Swinburne Pulsar Group will lead the design of the SKA's pulsar signal processor, which will enable a variety of experiments designed to challenge our understanding of gravity and test Einstein's General Theory of Relativity. The funding is part of a $19 million package being made available to Australian organisations to help design the ground-breaking project, announced by Minister for Science and Research, Senator Don Farrell. Astronomers Prof. Alister Graham and Dr. Nic Scott from Swinburne University of Technology have discovered how supermassive black holes grow - and it's not what was expected. For years, scientists had believed that supermassive black holes, located at the centres of galaxies, increased their mass in step with the growth of their host galaxy. However, new observations have revealed a dramatically different behaviour. "Black holes have been growing much faster than we thought," Professor Alister Graham from Swinburne's Centre for Astrophysics and Supercomputing said. Swinburne University of Technology's Centre for Astrophysics and Supercomputing, Associate Professor Christopher Blake, has been awarded the prestigious 2013 Pawsey Medal by the Australian Academy of Science. The Pawsey Medal is awarded annually and recognises outstanding research in physics by scientists under the age of 40 years. The award is named after Australian scientist, radiophysicist and radio astronomer, Dr Joseph Pawsey. Dr Blake received the award for his research into the physical nature of anti-gravity material known as ‘dark energy' and the expansion of the universe. His contribution to the dark energy field over the last ten years has been to lead Australian-based research that exploits a different probe of dark energy that is independently sensitive to cosmic gravity, expansion and homogeneity. In this video Professor Matthew Bailes discusses the capabilities of Swinburne University's 'Green Machine', its newest Supercomputer. Through the power of the Green Machine, Swinburne Astronomers have made exciting discoveries, like the diamond planet. provision of ongoing support for a highly-engaged international network of astronomy students and alumni, thus fostering a sense of global community. raising Swinburne’s reputation for research excellence and standing in international university rankings. Two 'super-luminous' supernovae - stellar explosions 10 to 100 times brighter than other supernova types - have been detected in the distant Universe. The discovery, led by Swinburne University of Technology astrophysicist Dr Jeffrey Cooke, and reported online in Nature this week, sets a record for the most distant supernova yet detected. Associate Professor Michael Murphy from the Centre of Astrophysics and Supercomputing and a team of researchers from the School of Physics at the University of New South Wales (UNSW) have been awarded the prestigious 2012 University of New South Wales Eureka Prize for Scientific Research. The Research Student Photography and Image Competition ran from 6 - 20 August this year as part of National Science Week. CAS graduate student, Adrian Malec, won 3rd prize in the competition which had 40 entries of a very high standard. Adrian's photo was "The Summit of Mauna Kea" shown below. Professor Karl Glazebrook has been named one of the 12 most influential Australian researchers at the 2012 Thomson Reuters Australia Citation and Innovation Awards. At an event held today at the National Press Club in Canberra, a total of 19 Australian-affiliated recipients, including seven innovative organisations, received commerative Thomson Reuters awards. The awards recognise Ausralia's continuing influence on international scientific research and innovation and range across the scienes to social sciences and humanities. The full media release is avaliable from the Swinburne Media Centre. An international team of astronomers has discovered a rare square galaxy with a striking resemblance to an emerald-cut diamond. The astronomers - from Australia, Germany, Switzerland and Finland - discovered the rectangular shaped galaxy within a group of 250 galaxies some 70 million light years away. A team of astronomers has discovered the most distant example of a galaxy cluster lying in the middle of one of the most well-studied regions in the sky. Galaxy clusters are the ‘urban centres' of the universe and may contain thousands of galaxies. This cluster is located 10.5 billion light-years away from our own Milky Way galaxy and is made up of a dense concentration of 30 galaxies that is the seed for a much bigger 'city'. The discovery, reported today in Science, was made by an international research team led by Professor Matthew Bailes, Pro Vice-Chancellor (Research) at Swinburne University of Technology in Melbourne and the 'Dynamic Universe' theme leader in a new wide-field astronomy initiative, the ARC Centre of Excellence for All-sky Astrophysics (CAASTRO). 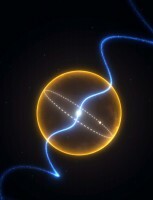 The researchers, from Australia, Germany, Italy, the UK and the USA, first detected an unusual star called a pulsar using the CSIRO Parkes radio telescope and followed up their discovery with the Lovell radio telescope in the UK and one of the Keck telescopes in Hawaii. The Milky Way is suffering from a mid-life crisis with most of its star formation behind it, new research from Swinburne University of Technology has shown. Galaxies typically fall into one of two categories - energetic blue galaxies that form new stars at an impressive rate, or lethargic red galaxies which are slowly dying. In a paper accepted for publication in the Astrophysical Journal, Mr. Simon Mutch, Dr. Darren Croton and Dr. Gregory Poole, have shown that our own Milky Way galaxy is neither of these. Rather it is a rare 'green valley' galaxy that is half way between a youthful blue galaxy and a geriatric one. This is the first time that astronomers have compared both the colour and the star formation rate of the Milky Way to that of other galaxies in the Universe. For the full Swinburne press release, please click here. Coverage of this article in New Scientist can be found here: New scientist: Milky Way faces midlife crisis. For the Swinburne press release, please follow this link. We are now accepting Expressions of Interest for CAS's 2011 application round of PhD scholarships. A range of scholarships are available to local and international students. Note that although the deadline for formal PhD scholarship applications is in late May, Expressions of Interest should be made as early as possible. After the Expression of Interest is assessed, students in contention for scholarships must discuss potential PhD projects with possible PhD supervisors, and forward certified documents by regular mail, to be received at Swinburne by the 18th May. Giant galaxies that contain billions of stars are born in much the same way as delicate snowflakes, new research from Swinburne University of Technology has shown. In a paper accepted for publication in the Monthly Notices of the Royal Astronomical Society, Professor Duncan Forbes has provided the first direct evidence to support a theory of galaxy formation that he has likened to the birth of a snowflake. Forbes, with the help of international collaborators, analysed data from three different telescopes in order to help confirm this galaxy formation theory proposed last year by German astronomer Ludwig Oser and his colleagues. Please click here for the full media release. The Multiwavelength Atlas of Galaxies (MAG), authoured by Swinburne University of Technology's Dr Glen Mackie, has just been published by Cambridge University Press. MAG contains over 250 colour images of 35 galaxies spanning the whole electromagnetic spectrum. Accompanying text explains why we see the component stars, gas and dust through different radiation processes. It is a valuable reference for students seeking an overview of multiwavelength observations of galaxies, and for researchers needing summaries of individual galaxies. For a recent Staff Bulletin article click here. 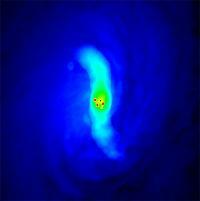 Complex supercomputer models of Galactic dust and gas are helping to spot newborn planets. An international team of astronomers has laid the groundwork for the next astronomy sensation: watching a far distant planet in the act of being born. Their work is refining the study of the disks of dust that enfold newborn planets, creating a clearer view of cosmic birth. Swinburne University of Technology's Associate Professor Sarah Maddison and colleagues Dr. Laure Fouchet of Berne University, Switzerland, and Dr. Jean-Francois Gonzalez of Lyon University, France, have developed a technique for studying the vast disk of dust and gas surrounding an infant star. Their technique will allow astronomers using the latest and most powerful millimetre wavelength telescopes to watch as young planets take shape and create that star's solar system - albeit about 500 years ago in Earth time. For the full media release, please click here. Using Australian telescopes, Swinburne University astronomy student Andy Green has found 'living dinosaurs' in space: galaxies in today's Universe that were thought to have existed only in the distant past. The report of his finding - Green's first scientific paper - appears on the cover of the 7 October issue of Nature. "We didn't think these galaxies existed. We've found they do, but they are extremely rare," said Professor Karl Glazebrook, Green's thesis supervisor and team leader. The Swinburne researchers have likened the galaxies to the ‘living dinosaurs' or Wollemi Pines of space - galaxies you just wouldn't expect to find in today's world. To view the associated animation, please click here. We are now accepting applications for Swinburne's 2010 round of summer scholarships. Using hardware developed by the computer game industry, Swinburne University astronomers are solving some of science's most challenging computational problems. In a series of papers published this year, members of Swinburne's Centre for Astrophysics and Supercomputing have shown how graphics processing units (GPUs) - a type of processor that improves graphics in computer games - can be applied to the field of astronomy. Follow this link for the Swinburne media release. High resolution images are available here. We are now accepting Expressions of Interest for Swinburne's October 2010 application round of PhD scholarships. A range of scholarships are available to local and international students. Note that although the deadline for formal PhD scholarship applications is in late October, Expressions of Interest should be made as early as possible. After the Expression of Interest is assessed, students in contention for scholarships must discuss potential PhD projects with possible PhD supervisors, and forward certified documents by regular mail, to be received at Swinburne by the 21st October. 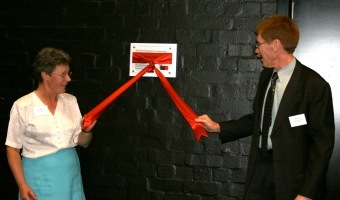 The ARC has recently announce the Centre of Excellence outcomes for funding starting in 2011. The Centres of Excellence form the largest and most prestigious grant scheme funded by the ARC. The ARC Centre of Excellence for All-Sky Astrophysics (CAASTRO) was approved for funding from 2011, with a budget of $20.6M. CASSTRO is a broad collaboration of Australian and international institutions including Swinburne University, and Prof. Bryan Gaensler from Sydney University is Director. See this report for a summary of proposal outcomes. PhD student Adrian Malec and Dr. Michael Murphy from Swinburne's Centre for Astrophysics and Supercomputing have studied a distant galaxy revealed in silhouette against a bright background quasar to help reveal a new cosmological anomaly involving molecules containing hydrogen's doubly-heavy cousin, deuterium (D). This isotope is only produced in the bang bang and is subsequently destroyed by fusion processes in stars; knowing how much deuterium is in the Universe provides crucial information about the big bang and cosmology. But the HD molecule - deuterated molecular hydrogen - should have a far more complex life cycle than D alone and should have very different abundances in different galaxies and even in different places within one galaxy. And yet this new study using quasar observations from the 10-m Keck telescope in Hawaii finds a strange coincidence between the abundance of D and that of HD. Could these new HD observations be used to study cosmology too? The odds are stacked against it, but intriguingly, tantalizingly, the data suggest it may be the case. Read the full Swinburne press release. A multi-million dollar upgrade to Swinburne University's supercopmputer will make it a leading research facility for the Australian astronomy community. The upgrade, which will receive $1 million from the Federal Government's Education Investment Fund (EIF) and $2 million from Swinburne, will dramatically increase the speed and capacity of the facility - now known as 'gSTAR'. Follow this link for the Swinburne press release. Like bubbles bursting on the surface of a glass of champagne, 'bubbles' in our Galaxy burst and leave flecks of material in the form of clouds of hydrogen gas, PhD student Alyson Ford, from the Centre for Astrophysics and Supercomputing at Swinburne University, has found. Her team, consisting of Ford, and collaborators Felix J. Lockman of NRAO, and Naomi Mclure-Griffiths of CSIRO Astronomy and Space Science, presented thier findings to the American Astronomical Society's meeting in Miami, Florida. The NRAO press release is available here, and the CSIRO press release is available from this link. Swinburne researcher Rob Crain has used stunning new hydrodynamical simulations of galaxy formation to follow the detailed evolution of hot gas surrounding disk galaxies - showing agreement with X-ray observations for the first time. Hot, X-ray luminous coronae surrounding present-day disk galaxies - such as our own Milky Way - are predicted by galaxy formation theories based on hierachical cosmogonies, such as the currently preferred Lambda-Cold Dark Matter paradigm. Simple models suggest that this extra-planar emission from massive, local disk galaxies should be seen at surface brightnesses readily accessible by existing X-ray observatories. These models have not garnered observational support, with non-detections commonplace and the few confirmed detections indicating X-ray luminosities 10-100x fainter than expected. This discord has been posited as a challenge to the prebailing view of galaxy formation. Crain and collaborators used the GIMIC hydrodynamical simulations to highlight shortcomings in the simple models underpinning the predictions, and thus demonstrate that the observations are in fact consistent with the contemporary galaxy formation models. The paper, and high-resolution images can be downloaded from here. Around a quarter of the star clusters in our Milky Way are invaders from other galaxies, new research from Swinburne Univeristy of Technology shows. In a paper accepted for publication in the Monthly Notices of the Royal Astronomical Society, Swinburne astronomy Professor Duncan Forbes has shown that many of our galaxy's star clusters are actually foreigners - having been born elsewhere and then migrating to our Milky Way. "It turns out that many of the stars and star clusters we see when we look into the night sky are not natives, but aliens from other galaxies," said Forbes. "They have made their way into our galaxy over the last few billion years." Previously astronomers had suspected that some star clusters, which contain around a million stars each, were foreign to our galaxy, but it was difficult to positively identify which ones. Using Hubble Space Telescope data, Forbes, along with his Canadian colleague Professor Terry Bridges, examined old star clusters within the Milky Way galaxy. They then compiled the largest ever high-quality database to record the age and chemical properties of each of these clusters. "Using this database we were able to identify key signatures in many of the star clusters that gave us tell-tale clues as to their external origin," Forbes said. "We determined that these foreign-born star clusters actually make up about one quarter of our Milky Way star cluster system. That implies tens of millions of accreted stars from star clusters alone. The researchers' work also suggests that the Milky Way may have swallowed-up more dwarf galaxies than was prebiously thought. "We found that many of the foreign clusters originally existed within dwarf galaxies - that is 'mini' galaxies of up to 100 million stars that sit within our larger Milky Way. "Our work shows that there are more of these accreted dwarf galaxies in our Milky Way than was thought. Astronomers had been able to confirm the existence of two accreted dwarf galaxies in our Milky Way - but our research suggests that there might be as many as six yet to be discovered. "Although the dwarf galaxies are broken-up and thier stars assimilated into the Milky Way, the star clusters of the dwarf galaxy remain intact and survive the accretion process." "This will have to be explored further, but it is a very exciting prospect that will help us to better understand the history of our own galaxy." Forbes' research was carried out in Canada as part of an Australian Research Council International Fellowship. The research paper can be accessed at http://arxiv.org/pdf/1001.4289v1. News: Centre for Astrophysics and Supercomputing awarded 2 ARC Super Science Fellows. Swinburne has been awarded two Super Science Fellowships by the federal government. Twenty Australian institutes received fellowships that aim to attract and retain the best and brightest early-career researchers from Australia and around the world. Swinburne’s two fellowships are associated with a $556,800 project conducted by the Centre for Astrophysics and Supercomputing that will study the process of galaxy assembly across cosmic time. Professor Karl Glazebrook, and Drs Michael Murphy, Emma Ryan-Weber, Chris Blake and Virginia Kilborn comprised the team who proposed the successful project titled "Mass Assembly of Galaxies in the Cosmos: The roles of stars, gas and metals". The Swinburne media release can be accessed here. We are now accepting Expressions of Interest for Swinburne's May 2010 application round of PhD scholarships. A range of scholarships are available to local and international students. Note that although the deadline for formal PhD scholarship applications is in late May, Expressions of Interest should be made as early as possible. After the Expression of Interest is assessed, students in contention for scholarships must discuss potential PhD projects with possible PhD supervisors, and forward certified documents by regular mail, to be received at Swinburne by the 19th May. It may sound like science fiction, but freakish galactic events such as ravenous black holes and ripples in the space-time continuum, could be happening all around us according to new research from Swinburne University of Technology. In a study published in the Monthly Notices of the Royal Astronomical Society, Swinburne researchers examined 50 regular galaxies to determine their composition and structure. The researchers, Associate Professor Alister Graham and Dr Lee Spitler, found that 12 of these galaxies contained a double nucleus - that is they had both a super massive black hole and a dense star cluster containing up to ten million stars at their centre. Swinburne astronomer Rob Crain has produced a simulation of the evolution of the Universe, determining the fate of dwarf satellites, and predicting the existence of thousands of dark matter clumps surrounding the Milky Way. The simulations also form part of a new ICC movie called Our Cosmic Origins, which combines ground-breaking simulations with observations of galaxies to track the evolution of the Milky Way over the 13-billion-year history of the Universe. It was highlighted at the "Royal Society Summer ScienceExhibition" in July 2009. A stunning movie of the simulation can be found here, and an accompanying story is here. We are now accepting Expressions of Interest for Swinburne's October application round of PhD scholarships. A range of scholarships are available to local and international students. Note that although the deadline for formal PhD scholarship applications is in late October, Expressions of Interest should be made as early as possible. After the Expression of Interest is assessed, students in contention for scholarships must discuss potential PhD projects with possible PhD supervisors, and forward certified documents by regular mail, to be received at Swinburne by the 23rd October. We are now accepting application for Summer Vacation Scholarships to be undertaken at CAS between December 2009 and February 2010. Applications must be submitted by the 30th September 2009. Dr Emma Ryan-Weber is one of this year's Fresh Scientists. Fresh Science is a national competition that identifies new and interesting research being done by early-career scientists around the country and releases their stories to the media. Emma and her colleagues have discovered the oldest and most distant carbon in the Universe, but there's not enough of it to support standard theories of how the Universe lit up. Full story on the Fresh Science and Swinburne Media Releases websites. Professor Warrick Couch has been recognised for his contribution to the field of astrophysics, by election to the Australian Academy of Science. Couch, a distinguished professor at the Centre for Astrophysics and Supercomputing, has been acknowledged for his work on galaxy evolution and cosmology, and his involvement in the discovery of the accelerating universe. Election to the Academy represents one if the highest honours that a scientist can be awarded in Australia. Each year the Academy elects 16 new fellows from a diverse range of sciences. Couch's election further cements his place as one of the country's most eminent scientists. The discovery of a galactic freak - an extremely rare ultra-compact dwarf galaxy, the closest yet found to the Earth - could furnish the missing link in understanding how galaxies and their clusters evolve. Swinburne University of Technology astronomer Dr. George Hau, along with Professor Duncan Forbes and his research group, made the discovery using the giant Keck telescope - the most powerful optical instrument in the world. We are now accepting Expressions of Interest for Swinburne's May application round of PhD scholarships. A range of scholarships are available to local and international students. Note that although the deadline for formal PhD scholarship applications is in late May, Expressions of Interest should be made as early as possible. After the Expression of Interest is assessed, students in contention for scholarships must discuss potential PhD projects with possible PhD supervisors, and forward certified documents by regular mail, to be received at Swinburne by the 22nd May. Little is known about Robert Wigmore, the maker of a large reflector telescope once owned by Swinburne University. Built in 1894, and used for astronomy classes at Swinburne in the 1950s, the telescope disappeared in 1960. For over 40 years, its whereabouts remained a mystery. To celebrate the International Year of Astromy, the recently re-discovered Wigmore Telescope is returning to Swinburne University for one evening. For more information, including bookings for this event, see here. Bigger than Big, a three-dimensional astronomical journey produced by Swinburne University was a proud invited participant in the 38th Rotterdam International Film Festival this week. The film was chosen as part of the "Signals: Size Matters" Program along with films from around the globe. Bigger than Big was produced at the Swinburne's Centre for Astrophysics and Supercomputing and combines cutting edge scientific astronomical data and simulations with stunning animations. From an astronaut's footprint to the galaxy clusters that form the most gigantic structures known, Bigger than Big is a captivating astronomy experience designed for science museums, observatories and planetariums. Data visualisations from galaxy surveys were used alongside realistic animations to create a beautiful and educational universe. The Rotterdam Film Festival is an active supporter of independent film making from around the globe and offers a program of innovative, experimental cinema and film-related art. "Being chosen for a festival like Rotterdam is a wonderful recognition of the work we do," says the film's Director, Russell Scott. "It shows the ability of innovative storytelling and animation to bring science into the world of art and vice versa. Supporting crossover scientific films like Bigger than Big is a really unique aspect of Swinburne's business." Bigger than Big is currently showing in 3d-stereo at Swinburne Astrotour theatres in Sydney, Parkes, Hobart, and the United Kingdom, among others. 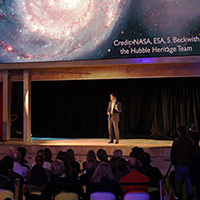 News: 2009 International Year of Astronomy lecture series. The first Public Lecture will be on 19 February at 6:30 pm. Professor Matthew Bailes, the Centre's Director, will talk about his favourite pastime, Millisecond Pulsar Hunting. Bookings can be made as per above. The Centre for Astrophysics and Supercomputing has had its Tier 1 status reaffirmed and will receive Tier 1 funding until the end of 2015. Our new High-Definition Virtual-Reality Theatre was opened by Dame Jocelyn Bell Burnell and Swinburne's Vice-Chancellor, Professor Ian Young on Monday 8th December with a short introduction from Centre Director Professor Matthew Bailes and a presentation from Dame Joceyln Bell Burnell. We are now accepting applications for Vacation Scholarships at the Centre for Astrophysics & Supercomputing from enthusiastic university students with excellent scholastic records who are in the last, or second last, year of their undergraduate degree. For scholarships during the period December 2008 to February 2009, we ask for applications to be submitted by the 31st October 2008. News: The Little Things are Coming! In High Definition! Comets. Asteroids. Kuiper Belt Objects. The popular 3D stereo production by the Centre for Astrophysics and Supercomputing has been re-designed and animated in full High Definition Stereo, especially for Swinburne Astrotour Theatres around the world. This is the story of the amazing little things in the Solar System, and the incredible space explorers that have visited them. “Many of the stories about our Solar System concentrate on the Sun and the Planets, but the asteroids, comets and Kuiper belt objects have their own fascinating science to share,” Dr Chris Fluke, astronomer and original screenplay author, says. “By re-releasing this production in high definition, we can give people a more immersive experience and a better understanding of our Solar System.” The Little Things HD takes us from shooting stars on earth to the outer reaches of the Oort cloud, where comets are thought to form. We land on the surface of a comet and fly through the asteroid belt. “The beauty of 3D stereoscopic animation is the educational impact it provides,” explains Dr Elizabeth Stark, Marketing and Business Manager for the Centre. “We are no longer limited to telling the audience facts about comets, for instance, we can now pick them up and put them on the surface of one. That kind of realistic experience is an extremely powerful education tool that just wasn't available ten or twenty years ago.” The Little Things HD will be released worldwide on the 29th of September, 2008, and will be screening as part of Swinburne University of Technology's Spring Holiday Astrotours. For a full list of Astrotour theatres see http://www.vr.swin.edu.au/astrotour/installations.html. For sales and licencing information, please contact our distribution team at vr@swin.edu.au. Using a Nobel Prize winning laser technique, an international team of researchers, including Swinburne's Dr Michael Murphy, has vastly improved the precision of astronomy - it will even allow them to measure a star moving as slowly as a tortoise. In an article published in Science, they demonstrated how a 'laser frequency comb' could be used to calibrate an astronomical telescope. In future, this will enable astronomers to measure the spectral features of distant stars and galaxies with extreme precision. Bigger than Big, a three dimensional astronomical journey produced by Swinburne University has been accepted as a finalist in the 2008 SCINEMA traveling festival of science. The short animation will be touring Australia during National Science Week (August 16 - 24) as part of the "To the Moon and Back" SCINEMA program. SCINEMA is a science film, multimedia and video festival that works to combine the best of the arts and sciences to increase science literacy nationally. One of Swinburne Astronomy Online's former students, Trevor Barry, has made the headlines by capturing an electrical storm raging over the planet Saturn from his home telescope in Broken Hill. These images are of great value to the Cassini NASA team monitoring Saturn and Trevor is now one of only four amateur astronomers supplying regular images. Congratulations Trevor! The laws of nature are the same in the distant Universe as they are here on Earth, according to new research led by Swinburne's Dr Michael Murphy. The research, published today in Science, found that one of the most important numbers in physics theory, the proton-electron mass ratio, is almost exactly the same in a galaxy 6 billion light years away as it is in Earth’s laboratories. This means that the laws of physics are the same halfway across the visible Universe as they are here on Earth. Swinburne astronomers research tests Einstein's general theory of relativity when applied to a very unique pair of stars that are unequal in mass and size. The researchers found that Einsteins theory still stands up, almost 100 years after it was originally proposed. An international team of astronomers including Swinburne's Michael Murphy has proposed an ambitious plan that would see them monitor the expansion of the Universe in real time over the next five decades. The proposal, published in the Monthly Notices of the Royal Astronomical Society, involves measuring the distances of thousands of very distant ‘clouds’ of gas that are distributed throughout the Universe. Then, between 20 and 50 years later the astronomers will measure the distances again to determine how much they have changed. Dr. Ramesh Bhat at Swinburne's Centre for Astrophysics and Supercomputing is part of an international team of astronomers who have discovered an odd binary pulsar system using the world's largest radio telescope located in Puerto Rico, the Arecibo radio telescope. This pulsar is located 20,000 light-years away and spins at a rate of 465 revolutions per second. It is nearly twice as massive as our own Sun and is in a strangely elongated orbit around a Sun-like star, a discovery that challenges conventional theories of binary star formation. The team recently published their findings in the online journal, Science Express. Dr Alister Graham at Swinburne's Centre for Astrophysics and Supercomputing and an international team of astronomers have determined that the Universe is twice as bright as was previously thought. They have found that dust is obscuring approximately half the starlight that the Universe currently generates from our observations. Swinburne has accepted an invitation to become the only Australian International Affiliate member of the Association of Universities for Research in Astronomy (AURA). AURA is a consortium of universities, and educational and other non-profit institutions that operates world-class astronomical observatories. Of these institutions, 33 are in the US and 7 are outside of the US. Professor Karl Glazebrook of the Centre for Astrophysics and Supercomputing has today been awarded the 2008 Maria & Eric Muhlmann Award, for the development of innovative research instruments and techniques. 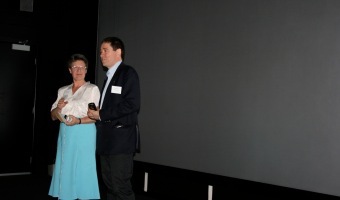 The prize was awarded by the Astronomical Society of the Pacific for Professor Glazebrook's role in the development of the "Nod and Shuffle" technique, along with Joss Bland-Hawthorn, University of Sydney; and Jean-Charles Cuillandre, Canada-France-Hawaii Telescope Corporation. The "Nod and Shuffle" observational technique allows astronomers to obtain very faint spectra of celestial objects by naturally subtracting the glow of the nighttime sky. The technique has been used successfully in the study of faint galaxies with the Anglo-Australian Telescope, in the Gemini Deep Deep Survey of galaxies in the early universe, and in other applications. The way in which researchers can present their data in online publications has been revolutionised thanks to two Swinburne astrophysicists. Dr David Barnes and Dr Christopher Fluke from Swinburne's Centre for Astrophysics and Supercomputing have developed a new technique that allows interactive three dimensional visualisations to be embedded into Adobe Portable Document Format (PDF) files. Two papers have been accepted for publication that not only discuss this new technique, but also utilise it. Swinburne's Vice-Chancellor and the Centre for Astronomy and Supercomputing's Director have signed an MOU with Caltech which will see extensive collaboration in radio and optical astronomy over the next 5 yrs. This will include access to the world's largest and most powerful optical telescope: the twin 10m telescopes of the W. M. Keck Observatory for up to 20 nights a year. The observatory is situated at 4205m above sea level (above 60% of the Earth's atmosphere) on the summit of Hawaii's dormant Mauna Kea volcano. Access to this class of telescope will enable Swinburne astronomers to see objects further away and with more detail than has previously been possible for Australian observers. Swinburne astronomers will be the first group in Australia to have guaranteed access to the Keck telescopes. The Swinburne astronomy team, led by Prof. Matthew Bailes and Dr. Ramesh Bhat, was successfully awarded a major research grant by DIISR to pursue an innovative scientific programme with the Giant Metrewave Radio Telescope (GMRT), the largest and most powerful low frequency radio telescope in the world. A joint collaborative effort between Swinburne, Curtin, Australia Telescope National Facility and the National Centre for Radio Astrophysics (India), this programme will capitalise on the key infrastructure in India (the GMRT) and Australia (the Swinburne supercomputer) to develop and demonstrate important techniques (e.g. multi-beaming over wide field of view) relevant for the Square Kilometre Array project and use such newly developed capabilities of GMRT for novel science goals in the areas of pulsars and transients. Establishing an intercontinental interferometric link between Australia and India for Very Long Baseline Interferometry experiments is also among the main goals of the project. An Australian and UK astronomy team, including Professor Warrick Couch and Professor Karl Glazebrook of Swinburne, has been awarded the first Group Achievement Award from the UK’s Royal Astronomical Society. The award was made in recognition of their part in the 2-degree Field Galaxy Redshift Survey (2dFGRS); measuring patterns in the distribution of galaxies on scales from 100 million to 1 billion light-years. Led by Professor Matthew Colless (Anglo-Australian Observatory) in Australia and Professor John Peacock (University of Edinburgh) in the UK, the thirty-three-member team spent ten years mapping the distribution in space of 220,000 galaxies using the 3.9-m Anglo-Australian Telescope (AAT) in New South Wales. We are pleased to announce that Dr Emma Ryan-Weber and Dr Darren Croton will join our academic staff in the near future. Dr Ryan-Weber is currently at the University of Cambridge and her areas of expertise include HI and high redshift extragalactic astronomy. 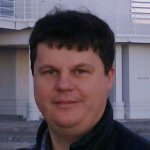 Dr Darren Croton is currently at the University of California, Berkeley and is involved in the modelling of extragalactic surveys using cosmological N-body simulations and semi-analytical modelling. Swinburne PhD student Adam Deller has been awarded the prestigious Jansky Fellowship from the National Radio Astronomy Observatory (NRAO) of the USA. Adam will be taking the first 1.5 years of this fellowship at NRAO itself, working on the software correlator required for the Long Baseline Array sensitivity upgrade; followed by 1.5 years at the University of California, Berkeley working with Professor Don Backer on the Portable Array to Probe the Epoch of Reionization (PAPER). Dance and science come together when Swinburne's astronomy centre gains an artist in residence. Choreographer, Frances d'Ath, has been absorbed in the creative process for two months and is about to reveal monadologie the work choreographed during hher residency at Swinburne's Centre for Astrophysics and Supercomputing. D'ath's Artist in Residence has been funded by the Australian Network for Art Technology/Arts Victoria. A Swinburne astrophysicist has leapt another hurdle in the path to proving that our fundamental theories of physics are not what they seem. Dr Michael Murphy is part of a team that has, over recent years, uncovered surprising and controversial evidence suggesting the laws of physics may have been changing through cosmic time. In this latest move, Murphy has debunked a study which claimed to disprove his findings. Astronomers at Swinburne University and West Virginia University (WVU) have identified a new mysterious burst of radio energy with the race now on to find more, paving the way for a new field of astronomy to emerge - similar to that achieved when the US military revealed the existence of gamma ray bursts in the 1970's. Two prestigious five-year research fellowships have been awarded to researchers at Swinburne's Centre for Astrophysics and Supercomputing. Professor Warrick Couch, already a HiCi researcher, was awarded an Australian Professorial Fellowship (APF), while his colleague Dr Michael Murphy picked up a Queen Elizabeth II (QEII) Fellowship. A Swinburne scientist is part of an international team of astronomers who have discovered over a dozen new galaxies halfway across the Universe. The discovery represents a major breakthrough in the field of distant galaxy 'hunting' and paves the way for more detailed studies of them. Three Australian astrophysicists including Swinburne's Professor Warrick Couch are part of two international teams of scientists that will receive the prestigious 2007 Gruber Cosmology Prize for their discovery that the expansion of the Universe is accelerating. Swinburne Astronomers Prof. Warrick Couch, Prof. Duncan Forbes, Prof. Karl Glazebrook and Dr Chris Blake have been successful in obtaining 3 competitive Discovery grants from the Australian Research Council. The awards, worth over $1M, will be used to conduct research in the areas of galaxy evolution and cosmology including measuring the dark energy content of the Universe. The largest ever galaxy survey to unveil nature 'fifth force'. Swinburne astrophysicists have been awarded a massive 220-night allocation from the Anglo-Australian Telescope (AAT), worth over $7 million, to study Dark Energy. The project will involve the largest-ever galaxy survey undertaken by the telescope and will measure some 300,000 distant galaxies. Later this year, Professor Karl Glazebrook will be joining Swinburne. Professor Glazebrook is presently a full professor at Johns Hopkins University in the United States. He has an outstanding track record with over 9000 citations of his work. Of his publications, 34 are ranked "high impact", meaning they are in the top 1% of the most highly cited publication in their year of publication. Clearly, with such an outstanding record, Professor Glazebrook will be a major addition to the University. Professor Glazebrook's outstanding abilities were recognised by the awarding of a 800K "blue sky" research grant from the Packard foundation, and he is leading some ambitious observational programmes at the world's largest telescopes into the nature of the distant Universe. Recognised as one of the world's leading observational cosmologists, Prof Glazebrook is currently helping to design the next generation of billion-dollar optical facilities. Using Gemini observations of globular clusters in NGC 3379 (M105), a team led by PhD student Michael Pierce and Prof. Duncan Forbes of Swinburne University in Australia, have found evidence for normal quantities of dark matter in the galaxy's dark halo. This is contrary to previous observations of planetary nebulae that indicated a paucity of dark matter in the galaxy. Professor Warrick Couch, Head of School of Physics at the University of NSW will be joining the Centre for Astrophysics and Supercomputing from the middle of the year. 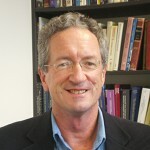 Professor Couch is a high profile scientist, being a Citation Laureate, signifying that he is one of the 30 most highly cited scientists in Australia. Professor Couch in addition to the new Tier 1 appointments will greatly strengthen Swinburne's position as a leading centre for astronomy research. From telescopes to supercomputers and 3D simulations of outer space, a new series of public lectures run by Swinburne’s Centre for Astrophysics and Supercomputing (CAS) will look at how changing technologies have shaped our understanding of the universe. Full colour animation taking stargazers anywhere in the Universe will be available to the portable planetarium market with the release of MirrorDome, a new digital product developed by the Swinburne Centre for Astrophysics and Supercomputing. Radio astronomers in Australia and New Zealand have joined forces to link telescopes separated by over 2500km in preparation for the next generation of telescope, the Square Kilometre Array (SKA). The combined telescopes, located in the North Island of New Zealand and north-west New South Wales of Australia, have enabled astronomers to probe radio emission from a black hole, 4.5 billion light years distant from Earth. Astronomers were able to measure incredibly weak signals from a quasar (a supermassive black hole at the centre of a galaxy, expelling material at close to the speed of light, 300,000 km per second) one quarter of the way across the universe (4.5 billion light years away), with a time accuracy of 5 billionth of a second (5 nanoseconds). Using a simple radio receiver and antenna costing $155, Australian astronomers have trumped X-ray detectors on vastly expensive satellites orbiting Earth to accurately measure the largest X-ray flare ever seen from the Sun. Solar flares are explosions in the Sun's atmosphere caused by the sudden release of magnetic energy, with the associated radiation and electrified gas having the potential to damage communications and other satellites in Earth's orbit and to disrupt power systems and radio communications on Earth. Swinburne University astronomers are turning to computer screens - rather than towards the night sky - in their search for elusive new planets. PhD student Adam Deller and Senior Lecturer Dr Sarah Maddison from the Swinburne Centre for Astrophysics and Supercomputing have been using the university's supercomputer to predict the presence of planets invisible from earth.